Summary: A new story from the Last Exile universe. Familiar voices: Aoi Yuuki (悠木碧) as Giselle. She's probably best know as "the other" famous loli voice, the voice behind the two recent "loli vampires", Princess Mina from Dance in the Vampire Bund and Sunako from Shiki, and the most recently as Victorique from GOSICK. Aki Toyosaki (豊崎愛生) as Fam. With that much playfulness in the voice, its pretty easy to recognize her as Yui from K-ON!. 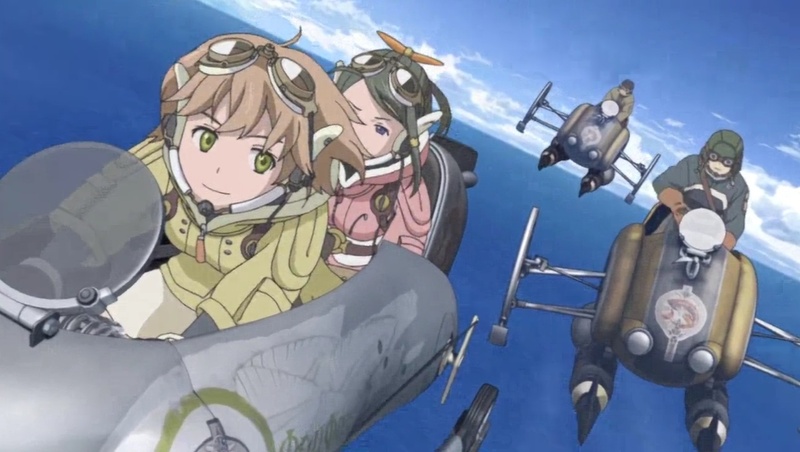 Personal comments: Compare to the original Last Exile, this opening episode is a much faster paced and way less cryptic. I think GONZO Finally is taking a step towards the right direction by producing quality anime again. 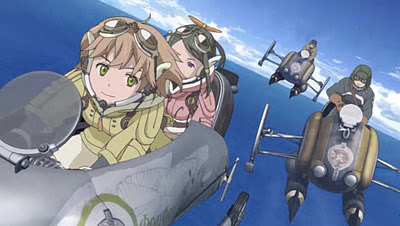 I really like the Last Exile series! Sometimes the visual setting is just breath-taking and stunning! I'm also running a blog about anime series. I would love to exchange links with you as I think your site is great with nice content.